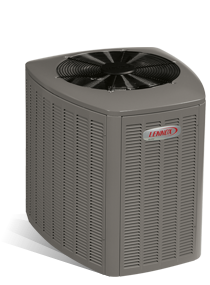 The XC20 air conditioner has your family’s comfort taken care of while helping reduce energy costs. The system’s true variable capacity enables the air conditioner to work at its highest efficiency while helping you maintain a comfortable home. From dependable performance to efficient cooling, the XC20 can help your home stay cool even during the hottest months of summer. ENERGY STAR certified for U.S. EPA qualified energy efficiency. Ready to find out how the XC20 Air Conditioner can make your home more comfortable year round? Need help with a gas furnace repair or want to schedule a gas furnace maintenance visit? We can handle it all. Our staff is trained, experienced and ready to help. Make an appointment or call 740-594-8381 for Athens or 740-654-4328 for Lancaster now.